Green Pitted Olives, Sunflower Oil, Shrimps, Salt. 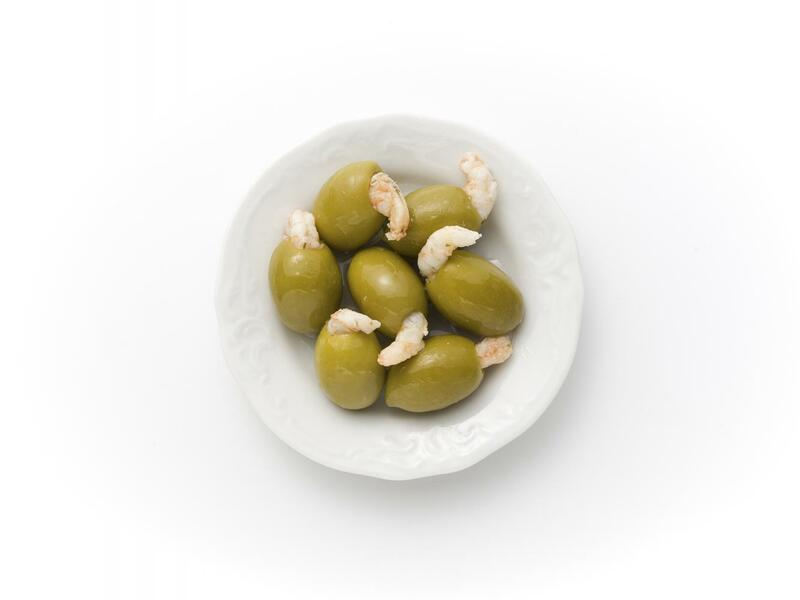 Typical of green olives and shrimps. Green to yellow in the olives and orange-pink in the shrimps.